Once I have the DXF file, ill send over. Oh and D, It cause us perth wierdos are all awesome thats why all the cool 1k stuff is here. Got any DOHC heads laying about ? Not much of an update. Still waiting to get the plate copied. They guy has had a breakdown and is working on repairs. im at work so guntree is confused about where to look right now so that doesent help. Last time a was looking, i found half a dozen wrecking in perth. if you get the 98-99 ford laser head, you get roller rockers with it was well! 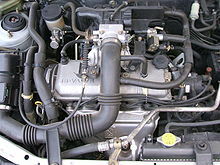 suzuki g16b engine in my carry van. exact bore of the Mazda engine heads we can use. bottom end with Mazda pistons and bike carbs. Its the B3 head so the beauty of the B series is they had so many bores sizes! 1.3�L (1,324�cc)�B3�� (71.0�83.6�mm). It was available in�SOHC�variants and was found in the Kia-built 1988�1993�Ford Festiva, the 1987�1989�Mazda Familia�and its derivatives, as well as the Mazda 121 (also known as Autozam Revue) (54�hp and 72�hp version), and the 1987�1989�Ford Laser, and 1994�1997�Ford Aspire. Later variants were used in the�Mazda Demio�microcar as late as 1999. Ill keep an eye out for you neil. I want to get a spare head as well so ill keep an eye out. mazparts in Midvale are a good source though. I have also found� that the astina forums and MX5 forums are a good source of parts. Dont mention what you are doing cause they get all funny about it. hmm just had a look at that. Could be an updgrade for the future - finish what i have first! The wiki entry talks about a timing chain rather than a belt. This makes it hard and potentially renders the currne adaptor plate un-useable. 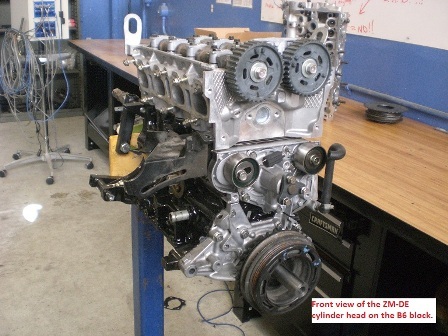 For NA, the Z-series head may be a good upgrade, but for boost it wont matter much. all belt driven due to using twin pulleys. last 5% using this head is not worthwhile.